WELL done to Steve Maclaren, who this weekend wrapped up the Dutch Eredivisie title with his FC Twente side. 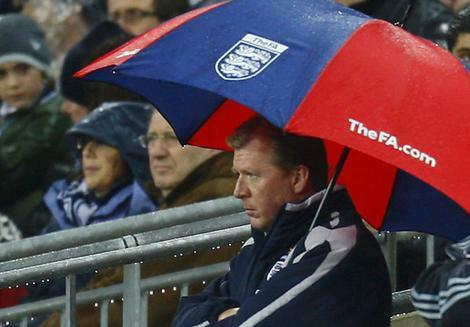 The umbrella-wielding manager, vilified in England after his tenure as national boss, led the side to their first title with a 2-0 win over NAC Breda on Sunday – making him the first Englishman to win a major honour abroad since Sir Bobby Robson led Porto to a league title in 1996. As a Middlesbrough fan I experienced first hand the wild ride that having Maclaren as a manager takes you on – flirting with relegation and cup glory, often within days of each other. And the legendary UEFA Cup run which saw Boro beat the likes of Basel and Steaua Bucharest to reach the final was more unpredictable than a night out with Paul Gascoigne. No offence to Gordon Strachan, but you’re welcome back any time, Steve.